While ‘Strategy’ is a word that is usually associated with the future, its link to the past is no less central. Noted Danish philosopher Kierkegaard once observed, ” life is lived forward but understood backward.” His wisdom finds an echo in Henry Mintzberg’ seminal piece on “Crafting Strategy’, where he writes that “Like potters at the wheel, organizations must make sense of the past if they hope to manage the future. Only by coming to recognize the patterns that form in their own behavior do they get to know their capabilities and their potential. Thus crafting strategy, like managing a craft, requires a natural synthesis of the future, present, and the past.” This Book chronicles the interesting journey of an Organization aka ABC group, as it goes about crafting a ‘Game – Changing Talent Acquisition Strategy’, re-orienting its focus from a tactical, reactive process to a strategic program capable of consistently sourcing, recruiting and on-boarding the best talent. Metaphysically speaking this is how we get to Carnegie Hall which is the equivalent of living the life we are meant to live. In business speak it could be the organizational equivalent of becoming so good that you make the competition irrelevant. A good strategy helps one get started… a blue ocean strategy can help one reach that pinnacle place. However, let’s face it: The basic principles that make for a blue ocean strategy often get obscured. 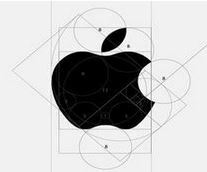 Sometimes the overriding fixation is a quest for the next new thing – natural in a field that emerged through the steady accumulation of frameworks promising to unlock the secret of competitive advantage. In other cases, the culprit is torrents of data, reams of analysis, and piles of documents that can be more distracting than enlightening. Here are some excerpts from my book on how smart companies will arrive at a Blue Ocean with regard to the talent for which they compete. While most companies recognize the importance of strategic talent operations, they usually treat recruitment as a transactional activity, tacitly relegating it to a tactical fire drill instead of a core component of the company’s strategic plan. “People are our most important asset.”: It is the most ubiquitous platitude of corporate life. The undeniable reality of course, is that the human side of enterprise remains the ultimate backwater and there are just a handful of organizations with the foresight & perspicacity to view recruitment from a vantage position. Lacking a strategic focus and a less than optimal talent acquisition function, organizations end up sacrificing their competitive advantage and find themselves unable to create leadership capital. When we think of it, a combination of current operating needs and the long–term business plan is integral to shaping the overall talent acquisition program. A misalignment here only ensures that the organization loses out to its competitors in the “War for Talent.” Clearly, organizations need to take a serious look at the challenges facing them and approach hiring from a rigorous, strategic and objective point of view. This necessitates the ability and willingness to make choices – a strategy mindset that views business life as not entirely random; stochastic but not random. A strategy is part art and part science; a heuristic, not an algorithm. As with most heuristics, organizations can learn to make educated guesses, stereotyping without having the certainty of a learn-able formula about how to put them together in a given choice context. Making choices, both about what you will do and what you won’t, is a critical part of being strategic. It sure is fraught with risks, but the risk of not choosing, of spreading limited resources over too many options, is greater.There is a bit of a F. Scott Fitzgerald here, who once wrote that ” One should… be able to see things that are hopeless and yet be determined to make them otherwise.” The mindset of a strategist is to hold that just because some bets turn out to be wrong doesn’t mean that the future is entirely unpredictable. That is why lots of practice and experience is required — it builds up your repertoire of bet analysis and observation. And so the more you practice, the less exposed to chance you’ll be — though it never quite goes away. It is important to create a ‘map of the organization territory’ – its history, operating structure, internal processes, markets, competitive forces – to be able to come up with a diagnosis. 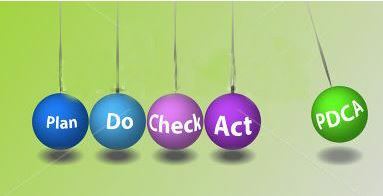 A good diagnosis simplifies the often overwhelming complexity of reality by identifying certain aspects of the situation as being the critical ones – the pivot points that can multiply the effectiveness of the effort – and then focus and concentrate action and resources on them. Integral to the diagnosis effort is a ‘strategic issue’ that requires a strategy. This understanding of the efficacy of an organization’s current strategic outlook and the desired future state leads to a clear articulation of the gap areas and the nature of the challenges to be overcome in ensuring a strategic business alignment. 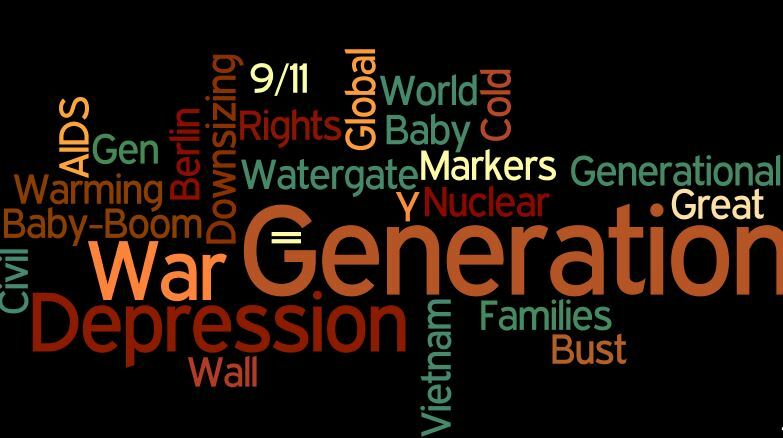 A caveat here: The strategy outlook as a consequence of this exercise should aim to focus on few critical things – the strategic issues – drawing upon the precept of the vital few against the trivial many . It should not resemble a scrambled mess of things to accomplish – a dog’s dinner of goals. A natural advantage of this approach is insights into sources of organization or functional strengths and weakness. It also enables a vuja de perspective of looking at things – of observing familiar, everyday things as if one were seeing it for the first time. Looking at things from a different or a fresh perspective can reveal new realms of advantage and opportunity as well as weakness and threat. It is this insightful diagnosis that not only explains a situation but also defines the domain of action and the future road-map. It may seem to leaders to be a helpful bromide to a struggling organization or a function but needs to be mastered and managed like a discipline. It is hard work. 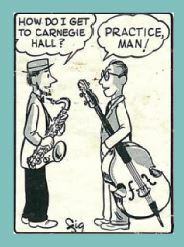 Getting good at it requires significant practice. The diagnostic exercise should pave the way for a road-map – the overall approach to overcome the challenges highlighted by the diagnosis. A clear road-map consists of a set of guiding principles or rules – these are not instruction steps, but they are the “guardrails” on what work needs to be done. It defines the domain of actions organizations should take (and not take) and the things they should prioritize (and not prioritize) to achieve desired goals. The strategy construct here must complement and draw upon an organization’s success tenets and exploit the inherent advantages. It is also important to underscore here the leadership imperative to negotiate the laid down road-map. A fundamental dilemma of strategy making is to reconcile the forces for continuity and for change – to focus efforts and gain operating efficiencies on the one hand, yet adapt and maintain currency with a changing business climate on the other. As, Ecclesiastes reminds us, ‘there is a time to sow and a time to reap‘. In laying down the road-map, leaders, as key architects of the strategy development & implementation process, must understand when to exploit an established crop of strategies and when to encourage new strains to displace the old. However, this cannot be done in isolation from decisions concerning the stakeholders (employees, customers, suppliers, investors) with whom the business will co-create and capture value. The guiding principles must be well communicated and adopted in the organization to generate the desired flow of organizational energy towards the domain of action. Crafting a game-changing strategy is not about building gossamer cathedrals or esoteric plans but, as Richard Rumelt points out in Good Strategy Bad Strategy, about coherent action. “Only action has an impact on the situation at hand: influences, shapes, alters that which is. “The kernel of a powerful strategy must be coherent”. That is the resource deployments, policies and maneuvers that are undertaken should be well optimized to ensure capability maximization. Optimized organizations & functions ensure that resources are leveraged to their best potential to create the unique capabilities. This optimization effort results with the concurrent maximization of resource efficiency, effectiveness and utilization. 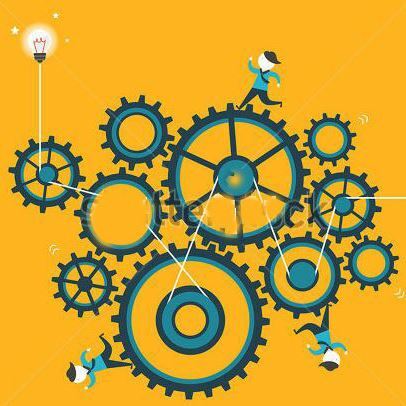 The strategic coordination or coherence at the core of the optimization effort is not an adhoc mutual adjustment but about fitting the pieces together so they work as a coherent whole. There is a difference between applying nominal improvements to talent acquisition and truly optimizing the discipline to boost strategic impact. By planning improvement based on a strategy that encompasses all aspects of talent acquisition,organizations can achieve significant results in terms of cost, efficiency, and business impact. Recruitment has not changed in terms of a process – a vacancy needs a suitable hire. However, the landscape, tools, technology, behaviors, expectations and generations are changing all around us and continue to accelerate how organizations approach their ability to source and acquire talent. Forward looking companies have been seizing this opportunity to move their capabilities forward and create true competitive advantage in talent sourcing and acquisition. They are focusing on fine-tuning the fundamentals, while devoting increased time and planning to the more strategic areas of talent acquisition, including workforce planning and strategic sourcing. Their standout recruiting results comes from Blue Ocean Recruiting – game-changing strategies that elevate recruitment from a transactional, short-term focused activity to a strategic, integrated, long-term approach that optimizes their investments in people in a way that makes the competition irrelevant. 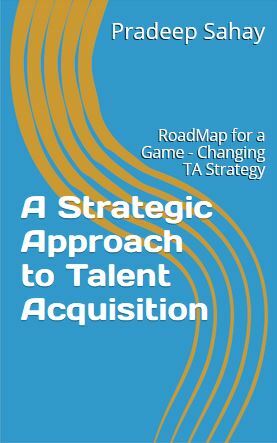 if you enjoyed this post, you may like to check out my book, ” A Strategic Approach to Talent Acquisition”. You can read a free sample chapter here. There’s much wisdom in the above saying, which has been attributed to Sherlock Holmes from that brilliant story “Adventure of the Copper Beeches”, written by Sir Arthur Conan Doyle and first published in the Strand Magazine in June 1892. 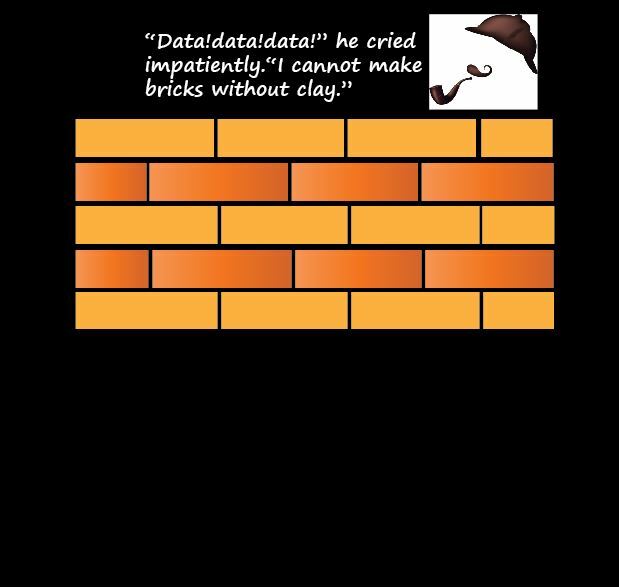 Flash forward to Circa 2015, a new age of strategic recruitment and human resource management has dawned upon us, yet this 19th century Sherlock Holmes speak continues to be germane to the recent digital data explosion of our times. Simply put, from a recruiting perspective, with data ( big or small) the recruiting function can measure, and hence know, radically more about its process internals, and directly translate that knowledge into improved decision making and performance. Put another way it aims to take the guesswork, gut feel and prejudice out of hiring, promotion & career planning decisions. The business world today is grappling with a deluge of data points from myriad sources. This data comes from everywhere: browsers, posts to social media sites, digital pictures and videos, purchase transaction records, tablets and cell phone to name a few. All this data supposedly offers unprecedented awareness of people’s actions and attitudes. Every day, we create 2.5 quintillion bytes of data – so much that 90% of the data in the world today has been created in the last two years alone and the number is doubling every 40 months or so. While Analytics and Big Data have created quite a stir in the marketplace, the reality, as a recent Bersin by Deloitte research study findings – shown below- revealed is that most HR organizations fall well short of mastering these capabilities. The study revealed that a staggering 86% of the surveyed organizations focused primarily on reporting, just 10% had taken the next step towards advanced analytics – helping business leaders solve their talent challenges through data analysis and a mere 4 % of the surveyed organizations were using predictive analytics to predict future talent outcomes. The statistics brings to the fore key issues and challenges organizations are grappling with in their efforts to build a successful data-centric recruiting function. Data cannot stand in for vision or human judgement. On the contrary, being “big data-driven” requires more qualified human judgment than cloud-enabled machine learning. It moves the efficacy around more sound, more objective, and better decision making. The key to success here is an understanding that (big) data is not about subordinating managerial decisions to automated algorithms, but deciding what kinds of data should enhance or transform user hiring experience. This scenario necessitates organizations to confront a new philosophy about decision making. For instance, hiring decisions are an interplay of multiple variables, the weighing and interaction of which are rarely obvious. 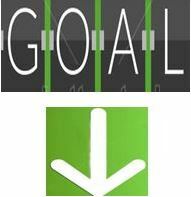 Behavior and achievement are contextually driven, and motivation may or may not change with time. 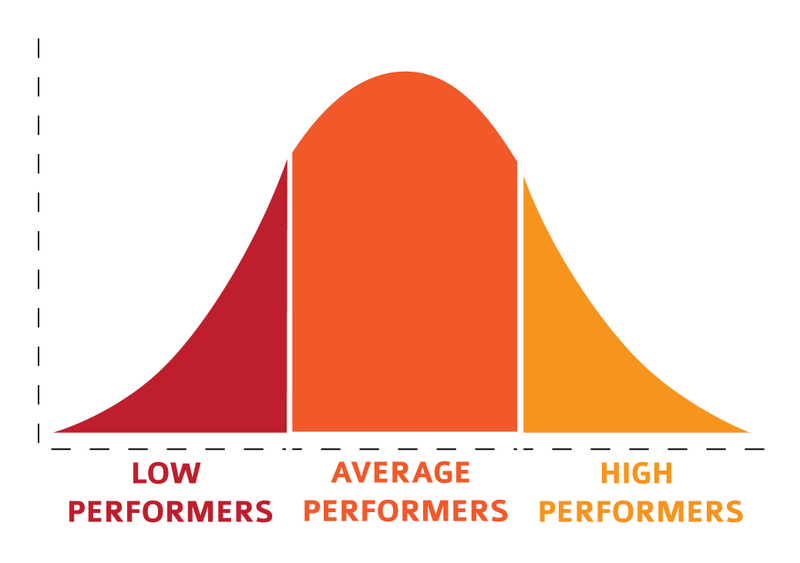 The selection path resembles more like the flight of a bumblebee than a predictable, linear hiring pattern and requires we bring in a nuanced understanding of the process combining the science of analytics with the art of intuition. This behooves organizations to move away from “What do we think?” approach to “What do we know?” and an enlightened leadership team is key to enabling this culture shift, where senior executives are willing to override their own intuition in favor of reasoning. Fast Company has a great quote from Jeff Bezos: “The great thing about fact-based decisions is that they overrule the hierarchy.” The most junior person in the company can win an argument with the most senior person with a fact-based decision. The geeks have arrived in HR, avers noted industry analyst and consultant, Josh Bersin. “Statisticians, mathematicians, and engineers have entered the people analytics space. More frequently, big data skills are appearing in job postings for recruiters, HR generalists, comp and benefit specialists, and trainers. ”The advent of the data era means that analyzing large, messy, structured, unstructured data is going to be integral to a recruiter’s work. For organization’s today, more effectively using talent data is a key component of their optimization efforts, one that seeks to improve the function’s role as a true business partner. Companies at the forefront of the data revolution are increasingly integrating workforce and workforce and financial data to align talent investments with business results. The recruiting function of the future will often be called upon to create innovative data-based recruiting products and services and more proactively develop data-driven insights used to predict turnover, reduce new hire failure rates, and manage persistent poor performers.To thrive in this world, many will require additional skills. An ingenuity to see the (data) picture: one might call this “data literacy”: competence in finding, manipulating, managing, and interpreting data, including not just numbers but also text and images. Visualization skills are important here, one can have all the data analysis faculty available, but unless one is able to present a coherent picture to the stakeholders, and demonstrate how it will help to improve performance and drive success, there is little value attached. The real win for business comes when the recruiter combines the artistry of wooing top talent in the market with the data acumen to influence the organization’s hiring strategy. The best hiring solutions arise from a willingness to blend art with science, ideas with data, and instinct with analysis. The “Matrix” underscores how sentient our world today has become. With cameras, smartphones, microphones, and other smart devices the human race is giving inanimate objects everywhere eyes, ears, and skin. And with all this observation, we are creating massive layers of data and information deluge every day. But for all this data ubiquity, data is the lowest level of abstraction from which information is derived, and its ability to enable informed decision making can only be brought to fruition if data aka ‘meaningful data’ is analyzed and interpreted in the right business context.There is a certain danger in not truly understanding what it means to be data-driven and leveraging on the acquired knowledge. Big Data has become a catchall phrase today and despite the much-lauded buzz around data, metrics, and analytics there is little appreciation around the import and value of these terms and most importantly, how they go about creating the background for the right business case. 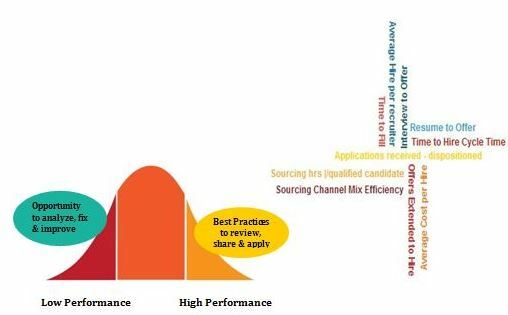 An understanding of this hierarchy of knowledge can go a long way in ensuring consistency in the evaluation and improvement process of our talent acquisition strategy and its consequent bottom-line impact. Metrics and Analytics, as the exhibit below illustrates, are generally fueled by the same data sources, which entwine the two and can be the root cause of confusion sometimes seen against their independent roles. There are many dimensions to technology. To build a data-driven recruiting function, the technology assets must be in step with the recruitment strategy. The more out-of-sync recruitment and technology are, the more debilitating the impact on the organization’s agility to hire top talent. Investments in technology need to focus on the sources of data, how data is moved around the organization, and how it is handled, either through transactions, reporting, or analytics. The analysis of large data sets (big data) and unstructured data requires new and different technology than the organization probably has today. Even if the organization has already invested in new technologies, management has to figure out how it becomes central to the organization — not just serving as an incubation environment. The technologies for data enabled recruiting are still fairly new and in some cases exotic. It’s too easy to mistake correlation for causation and to find misleading patterns in the data. The cultural challenges are enormous, and, of course, privacy concerns are only going to become more significant. But the underlying trends, both in the technology and in the business payoff, are unmistakable.The key challenge here is in knowing how to leverage technology in order to marry the right data sets with complex algorithms and optimize on the value proposition. The above challenges, notwithstanding, the evidence is clear: Data -driven and a scientific approach to recruiting is the way forward. There is a growing realization among the recruiting fraternity at large that overhead functions will not be exempt from the unstoppable business trend toward data enabled decision-making. As the tools and philosophies of big data spread, they will change long-standing ideas about the value of experience, the nature of expertise, and the overall practices in recruiting. 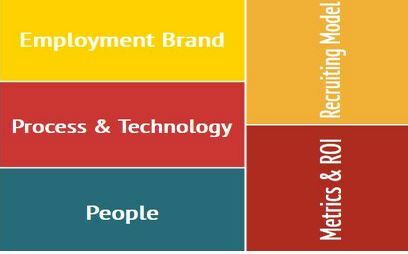 Big Data innovation presents talent acquisition with a unique opportunity to raise its profile as a strategic business partner. Strategic sourcing, improved workforce planning, building critical talent pipelines, are just few of the yet many un-researched possibilities presented by applying Big Data principles to the recruitment process. Recruitment today is finally moving away from transactional thinking and beginning to understand how to better connect and engage with relevant talent prospects. My perspective in this article delves into the fast changing world of recruitment and throws light on some key trends & emerging practices that will continue to shape the future character and complexion of this discipline. As the business environment becomes more volatile and ambiguous, and the market for top drawer talent gets tighter, the business of recruiting and sourcing is probably undergoing a paradigm shift. The biggest challenge for today’s recruiter is that the job of finding talent has become more complex. In his ground breaking book It’s Not the How or the What but the Who, Claudio Fernández-Aráoz succinctly traces the shifting paradigms of Talent spotting, from the era of focus on physical attributes, moving on to IQ – verbal, analytical, mathematical, and logical cleverness – to the ‘competency & skills’ movement we see today. 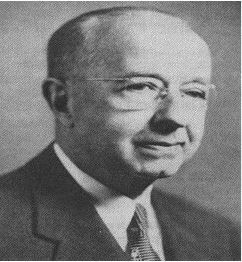 He further argues that in a volatile, uncertain, complex, and ambiguous environment of today, competency-based appraisals and appointments are increasingly insufficient and organizations must navigate to a new era of Talent spotting – one in which our evaluations of one another are based not on brawn, brains, experience or competencies, but on potential. Geopolitics, business, industries, and jobs are changing so rapidly that we can’t predict the competencies needed to succeed even a few years out. There was a time, not so long ago, when recruiting was very much simpler. You had an approved opening and you filled it. The technology tools at our disposal included a phone, a rolodex, and a notebook. Quality candidates were plentiful and sourcing meant calling people on that rolodex, searching through one’s privately maintained databases and maybe getting the word out about open positions through print publications. The recruiters ‘world of data’ largely revolved around the holy grail metric – Cost per Hire and a company’s ‘recruitment strategy’ meant knowing when to step down on its in-house efforts and call in the third-party brigade. Hireology, a leading Talent Assessment firm in the US, recently released an [INFOGRAPHIC] titled “The Evolution of Finding Candidates”, which provides an interesting account of how recruitment and selection has evolved over time. Starting with employee referrals dating back to ancient Rome, the infographic includes statistics and facts about how the industry has changed and where it is headed. Back in those ‘dark ages’, candidates snail-mailed typewritten resumes in response to these print ads. An early innovation here was the ‘fax machine’ which allowed candidates to digitally send resumes to employers. But the real game-changers were the desktop computers and the advent of the internet which completely democratized recruiting. Flash Forward to Circa 2014… Times have certainly changed. Today, there are multiple layers of technologies, tools, partners and services embedded in the recruiting processes, that are unmatched in complexity and sophistication from the days of yore. This interplay of social media tools, video, big data, analytics, cloud based products and mobile recruiting platforms is creating an interesting potpourri of resources geared to enhance the recruiters’ ability to more efficiently match job seekers with the right opportunities. However, digital convenience comes at the expense of meaningful engagement as digital transactions substitute physical interactions – and the trust and relationship capital they build, which is centric to the logic of the recruiting function. The challenge for the recruiting function here is to face the implications of digital change: in particular the loss of control over the candidate relationship, increased competition and threat of commoditization, and the need to engage digitally with all key stakeholders in the recruiting value chain. This rapid pace of digitization and the rise of the millennial generation is re-defining established workforce paradigms and will require the recruitment function to enable innovative efficiencies in its business/operating model, while creating seamless and consistent engagement with all stakeholders. The seismic shifts we are seeing in global business has significantly altered the recruiting landscape. The real challenge – and indeed the real opportunity – for the profession will lie in learning how to unlock the huge potential presented by the emerging tools, techniques and approaches. Recruitment is, and will remain a people centric function but its future promise to provide competitive advantage would lie more at the intersection of people with business, process, technology and organization strategy. 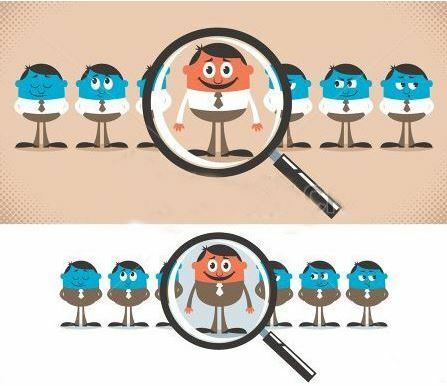 My Perspective in this article, the first in a two post series examines the elusive quest for excellence in hiring; the complexities in picking the ‘Right Person’ for the ‘Right Job’, often mired in paradoxes and how organizations commonly deal with them. Why Hiring Excellence eludes us? The Search Firm was in the closing stage of a difficult selection assignment for a client organization and the best choice candidate who had successfully acquitted himself, over a period of five months, going through a battery of personality, psychometric assessment tests and interactions with key HR functionaries, was invited for the offer stage meeting with the business stakeholders. The candidate went through the motions and was optimistic of the outcome in the affirmative. A few days later the company advised the search firm that it would no longer pursue discussions with the candidate. The only explanation offered was that the company had a lingering concern about ‘fit’. Though puzzled the search firm complied but also sought an audience with the HR Chief, who shared that one of the key business heads felt that the ‘candidate(s) lack of Industry relevant experience could prove detrimental to their business interests.‘ The candidate in question had a well rounded exposure cutting across multiple industries and could have brought a fresh perspective & innovative thinking to the role. Adding weight to this ridiculous screening requirement was the fact that the other two stakeholders had a given a go for the candidate but a 100% consensus was required for the closure – a seemingly improbable proposition. Lending credence to the above narrative is an article I recently came across at TLNT, titled “Industry Experience Required” Is a Mindset We Need to Get Out Of. The author Ron Thomas, a leading global authority on HR, shares his view on this aspect drawing from his vast HR experience and also cites about the non conventional staffing model of Quantasy, an advertising group, who went outside of their Industry and hired successful people with NO previous ad agency experience – an award winning music executive, a web entrepreneur, a screenwriter, and even a blogger. The insights by their CEO Will Campbell is a must read for anybody involved in HR. 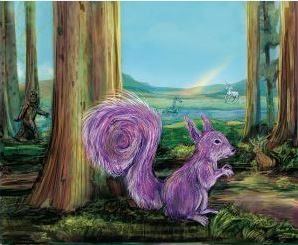 The ‘War for Talent’ notwithstanding should organizations allow themselves to be stuck in this one-industry corral?. 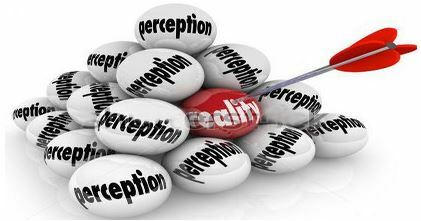 In my view, our myopic approaches akin to an auto-da-fé might be turning away a lot of talented people whose true abilities surpass the ‘right’ and ‘wrong’ fitment cues implicit in preposterous hiring requirements. 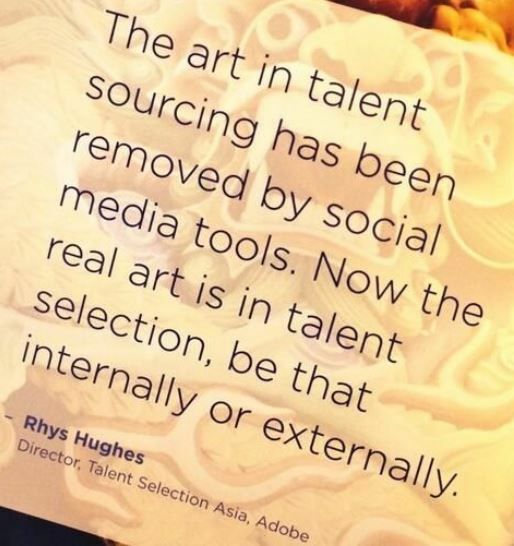 Organizations need to reflect here if they are missing out on the talent thing. Ironically, savvy job – seeking executives use this knowledge to their advantage feeding a cycle of poor decision making for all concerned. They fabricate, shape and sell the narrative by which they want to be defined or to fit the zeitgeist of the stakeholders on the other side of the table. If the stories resonate with the interviewer as plausible they are viewed as true. The overall candidate assessment therefore is less a function of how much information we have than the quality of the story we are able to construct. Once upon a time there was a clever young financial professional called Nassim Nicholas Taleb. Of Lebanese – or, as he preferred, Levantine – descent but working in New York, he was an option trader and quantitative analyst. 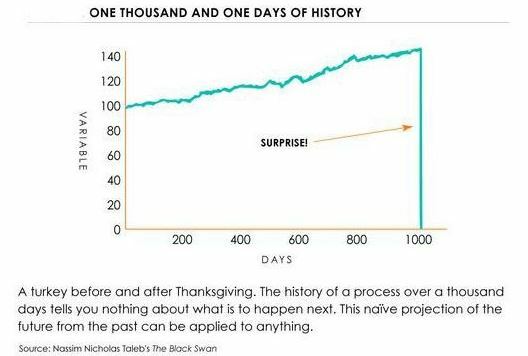 Best known for his groundbreaking work The Black Swan, one of Taleb’s great examples of “non-linearity”, or Black Swan behaviour, his book had many useful insights to offer. One such insight is woven around the “narrative fallacy”, the way past information is used to analyse the causes of events when so much history is actually “silent”. It is the silence – the gap – the missing energy in the historical system, which produces the black swan. Imagine, says Taleb, the problem of turkeys – exhibited in the figure above: “Every single feeding will firm up the bird’s belief that it is the general rule of life to be fed every day by friendly members of the human race ‘looking out for its best interests’, as a politician will say. On the afternoon of the Wednesday before Thanksgiving, something unexpected will happen to the turkey. It will incur a revision of belief. We model the future mostly on a narrative of the past – and the notion of narrative fallacy suggests that our narrative of the past is, more often than not, flawed. Applied to hiring, one doesn’t have to construct a ‘best hire’ narrative based on the success on observations of the past. At the same time, just because the past is not a template for the future, it doesn’t mean one has to go about building a template for the future that is deliberately different from the past. The message here is that It can be misleading, fallacious to build a general rule or draw a factual conclusion from observations based on flawed historical narratives alone. Jack Welch, when he commented “What could possibly be more important than who gets hired”, probably had in mind the high risks organizations carry, when they retreat to the comfort of expediency and simplicity, in place of the required objectivity in assessing & selecting the right candidate. Interestingly. 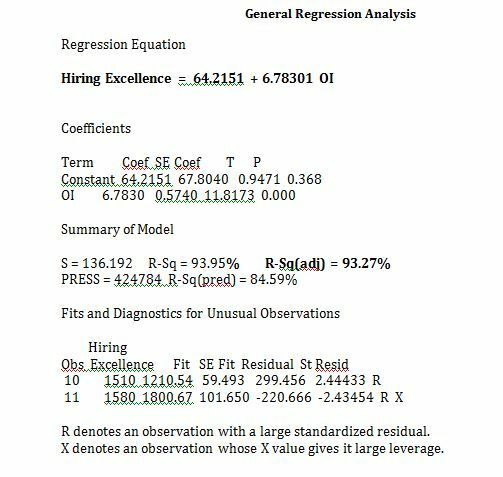 fitting a regression model in the above equation revealed, R-Sq (adj) & Standard Error of regression values of 93.7% & 136% respectively. In plain-speak the non-random pattern in the residual plots below indicate, that the predictor variables (specifically the intuition centric inputs) are not capturing any explanatory or meaningful information which would qualify the best hire fitment. The model instead explains a lot of response variability around the ‘objective input’- predictor variable and its predictive value to quantify excellence in selection. It is a moot point that the best predictive analytics and behavioural assessment tools would be at odds in deciphering any kernel of hiring excellence using this algorithm. Though hiring begrudges the stature of a science, perception based, gut driven and subjective inputs continue to figure as important predictor variables in the hiring equation of organizations. In the absence of unifying laws in hiring, unlike those that distinguish the physical sciences, there is little consensus on the attributes that predict success in strategic roles or how they interact and are optimally weighted in importance. The Wikipedia defines design thinking as a style of thinking which combines empathy for the context of a problem, creativity in the generation of insights and solutions, and the rationality to analyze and fit solutions to the context. Can Design Thinking Principles be applied to Optimize the Talent Acquisition discipline? Using Ulrich’s terms, the talent war today represents the drive to find, develop, and retain individuals, wherever they are located in the world. The key challenge here is to evolve recruitment models which can connect with Talent at large and achieve significant results in terms of cost, efficiency & business impact. This presupposes a service-oriented mindset. It means listening well to the client, rethinking every communication and interaction no matter how mundane and an attention to detail, an attitude, that is essential if one has to find the self-discipline to handle client servicing with empathy. Relationship building however takes time and focus. It operates on different rhythms and thinking than the direct approach. This means keeping the feelings of the customer in mind at all the “touch-points” in the relationship journey.Among the companies adopting this approach is Electronic Arts Inc., a large video game company. It maintains a pipeline of over thirty thousand individual relationships assembled using a web-based ATS, which stores custom talent profiles instead of resumes. The profile data fields capture contact information, information about prospect backgrounds, career aspirations, and geographic preferences. If prospect interests and capabilities match a current opening, the system immediately notifies the hiring manager and encourages the candidate to apply. This process of developing talent relationships forces managers to develop a more outward-looking view, stay on top of cutting-edge trends, building their company’s image and staying in sync with customer expectations. The photograph above, of a group of clouds shaped as a linked chain being broken through by a hot air balloon, is symbolic of a freedom metaphor of breaking against a constraint, and rising above to achieve a goal. 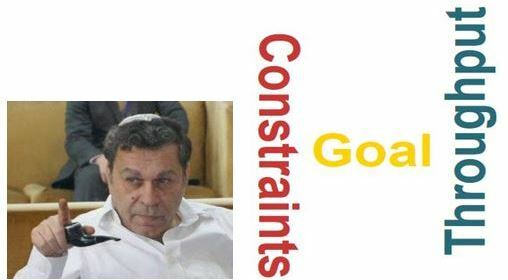 The Big Idea behind this unassuming portray is a methodology made famous by Dr Eliyahu Goldratt, who conceived the Theory of Constraints and introduced it to a wide audience through his bestselling 1984 novel, The Goal. The similarities of the manufacturing plant, in this fictional story by Eli Goldratt, and many corporate recruitment departments are striking, and its relevance endures even thirty years after it was written. Shortly after the turn of the century, when bento boxes had become Japan’s best known contribution to the culinary world, came the widely popular conveyor belt sushi restaurants. Also known as sushi-go-rounds, the customers, once in, could simply pick little portions of fresh sushi and sashimi of their choice from a moving conveyor belt. The final bill would be calculated based on the number and the type of sushi portions consumed. The idea combined Japanese minimalism and their loathing for wastage. 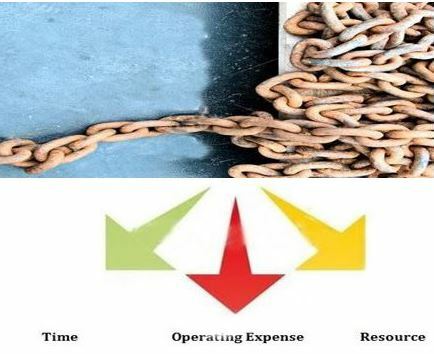 The Theory of Constraints (TOC) thinking process similarly draws upon this minimalist approach & is built around the core that every process has a single constraint, and that total process throughput – the rate at which the system makes money through sales, can only be improved when the constraint is improved. A very important corollary to this is that spending time optimizing non-constraints will not provide significant benefits; only improvements to the constraint will further the goal – achieving more profit. Thus, TOC seeks to provide precise and sustained focus on improving the current constraint until it no longer limits throughput, at which point the focus moves to the next constraint. The underlying power of TOC flows from its ability to generate a strong focus towards a single goal and to removing the principal impediment (the constraint) to achieving more of that goal. Focus is the essence of TOC and using the right metrics, recruiters will be encouraged to focus their behaviors on the causes and not the symptoms of recruitment success. 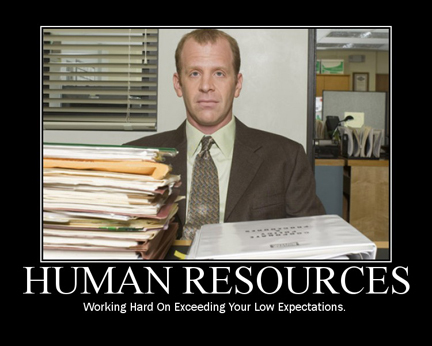 Why HR Needs to shed its Toby Flenderson image? Remember Toby Wyatt Flenderson, the HR Manager on the U.S. comedy television series, “The Office” ? Toby represents the archetypal Human Resource Manager: soft-spoken, easy to be with and generally of good disposition who seems to spend most of his time telling people what not to do. In the increasingly VUCA times we find ourselves in, is this the type of image we want associated with the HR profession? Is the profession today then at a crossroads? In views drawn from my own experience & following the footprints of some great HR practitioners , this has more to do with the challenges that beset the HR profession today and how the function is still caught between its evolving role from an arbiter of Human Relations to one of managing the resource supply chain. The rapidly changing business environment necessitates that HR grow out of its “soft touch” mode prone to providing ‘sugar and honey’ solutions and instead get more business aligned, financially oriented & accountable to provide greater business value. The real value of HR comes not from its role as an internal people operations team but more from its role in Talent Management. This value creation must happen in concert with the CEO of the organization. When we think of it “Talent Management” is a business process, not an HR process – and if the key architects of the corporate topography don’t “own it”, it cannot be forced down. The ‘license” from the top can be a big enabler for HR to live up to its true reputation of a Strategic Partner. It is unfortunate that HR is one of the overhead functions that gets downsized when times get tough, either through a reduction in its budgets or by reducing its staff. All administrative support functions are increasingly coming under pressure to demonstrate their value & HR today needs to take some radical steps that will improve and impact the credibility of the function if it has to be seen as a corporate leader that can influence senior management regarding the importance of people issues. It must respond by becoming more financially oriented and accountable focusing on outcomes and less on the activity subset. For the first time in this decade we are seeing four generations co-existing in the workplace at the same time – all with their unique set of values, attitudes, beliefs and aspiration mix. As a result, an organization’s ability to attract, motivate and retain key employees rests on how well managers understand what is driving the behaviors of each generational cohort. In this age of “Employee Consumerism” Organizations are waking up to the fact that ‘people assets’ are their only source of competitive advantage and that they must be flexible enough to meet individual needs.